There’s something satisfying about ticking off an item on your to do list, whether it is a paper one on your desk or a virtual one on your computer or phone. There’s a sense of achievement, of getting things done and moving forward with your day. The to do list is getting smaller and we are nearing our goals. But there can be some pretty big problems with this. For starters, how do you know that what you are putting on your to do list are the most important things to do that day or week? And how do you avoid the temptation to add things that are easy while putting off the hard stuff until another day? Here are some ideas about creating a to do list that actually helps get more done as well as some tips about software that can help. 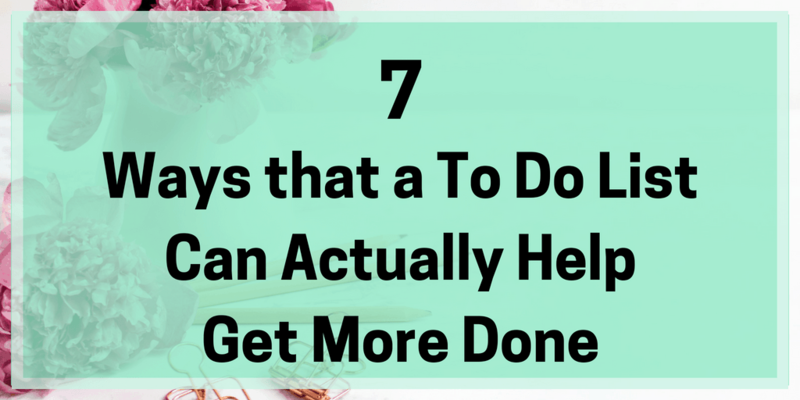 How you make your to do list is all about figuring out what works best for you. Some people like paper planners, printable to do lists or other paper-based options. Others like smartphone apps or desktop software. I like a combination of both. Two of the big names in the world of the free to do list app is Todoist and Wunderlist. I know some people do use an Evernote to do list and there are some basic task management features to it but I definitely find a dedicated app is best. 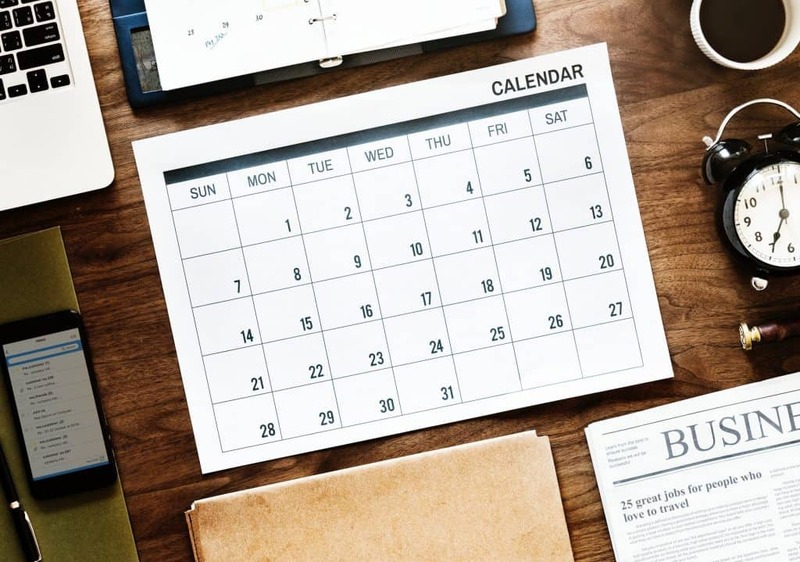 There’s even a Google calendar to do list but I can’t comment on that one much – plus Google calendar is undergoing a lot of big changes at the moment. Personally, I’m using Todoist as I like the ability to set up projects and colour code everything. I can have one for each of my blogs, general work stuff, social media stuff and then for things away from work. And the ability to type in something like ‘every 3rd Sunday’ as a reminder is very handy. Both Todoist and Wunderlist have smartphone apps so you can easily add and monitor jobs from your phone as well as desktop. Once you have your system in place, then it is important to start organising the tasks that you need to do. 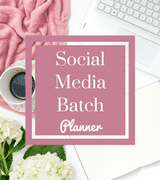 I like the idea from ProBlogger here which ties in with an approach I’ve learned for managing social media tasks from Kaitlyn at Pierce Social. Firstly, create a master list of all the jobs you need to do in a week. Take a little time each week to check this list and to add anything new you have thought about during the week. 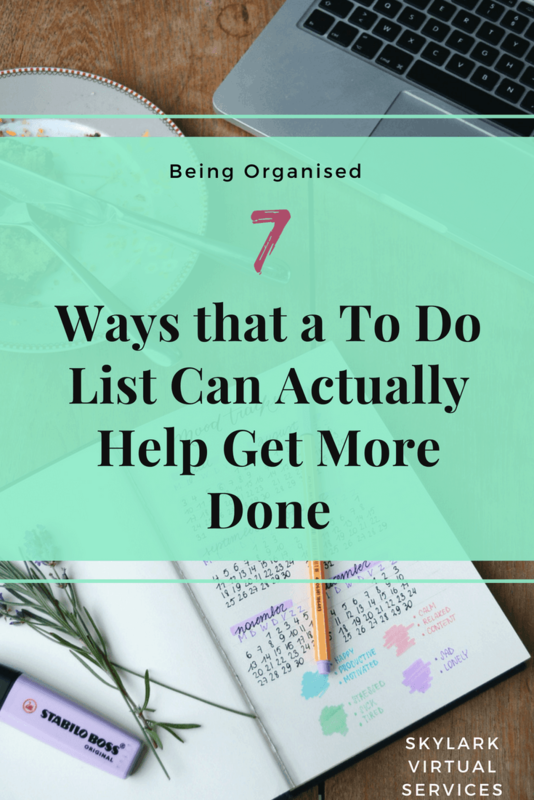 You might even want to have two lists, one for work and one for personal stuff, depending on how you like to organise. But we’ll focus on the blogging side of things for simplicity. 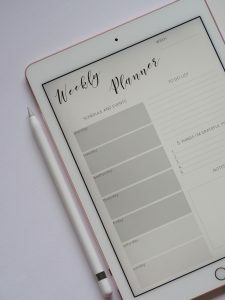 Weekly tasks might include things like writing a blog post, scheduling social media posts, updating older blog posts, responding to social media comments, updating plugins and themes or any other jobs. You need to look at stuff you do on a monthly basis too and fit them into the appropriate week – at the beginning of the month, for example, I do my blog figures to see how things are going. I don’t personally do this step but if you are a goal orientated person or work better with a goal list, then this might work well for you. 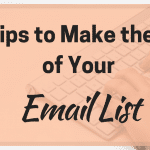 The goals can be simple stuff like writing a newsletter or going through your last 10 posts and updating affiliate links. It might be writing three chapters of your eBook or creating a video tutorial for your favourite software. Whatever it is, they should be part of a bigger goal list you create at intervals during the year – most people recommend working 60-90 days ahead at a time. We often feel that if we can say ‘it’s on my to do list’ then it is halfway to being done but this doesn’t always work. We tick off the easy stuff and don’t get around to the hard or unpleasant stuff. One tip is to choose the three top things to do each day and put these on the top of your weekly to do list template. Only when you have done those three things each day will you refer back to your master list and see what else you can tackle. As part of your scheduling, look for those boring admin tasks and find the quietest time of the week to do them. Most people find this might be during the weekend, or after the kids have gone to bed. Whatever works for you but find a time to schedule the tasks that are most likely to be put off and make sure you stick to it. Another regular task to do is to purge your list as this helps keep it under control and makes sure everything on it is still relevant. Some people recommend twice a year but I would say more often, maybe once a quarter. Look at the tasks you are doing and see if they are still all necessary. You can also look at the importance of these tasks while you are doing it if you are using that ‘top three’ method. That way you can spot the stuff that remains the most important. Another important consideration when setting your to do list is the ability you will have to get it done. There’s no point in setting three tasks that will take an hour apiece if you only have 90 minutes free. Or you are going to be so worn out by the first two that there’s no chance of attempting the third. Also, consider your own natural rhythm. I like to get up and do my paid client work first with a break to feed my birds and have breakfast. I work until lunch then after lunch, I’ll switch to my Todoist list once paid work is done. After my Todoist list is done, I do my social media jobs for the day such as Facebook Group sharing. Then I try to have an hour a day to do some training, listen to videos and podcasts. But you might be a later in the day person and want to work on an evening once the kids are in bed – understand your own natural patterns and set tasks accordingly. Creating a to do list system that works for you is about balancing systems, technology and an understanding of your time. That means what works for me might not work for you but elements of it might. One example is batching social media updates, a job I wrote about recently that I’m trying. I’ve added dedicated days for certain sites to that including a Pinterest day and a Facebook day for each of my blogs. Do you have a to do system? What have you found helps you get the most done? I’d love to hear about it in the comments! 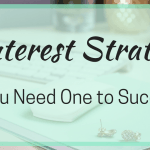 Pinterest Strategy - Do You Need One to Succeed? 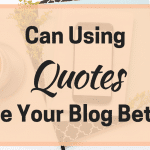 Can Using Quotes Make Your Blog Better?